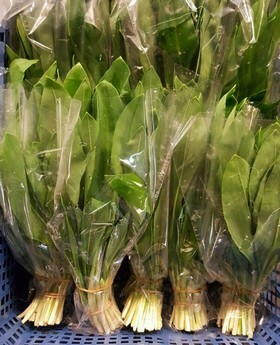 "Sales of wild garlic growing steadily every year"
Just in time for spring, the first wild garlic from the French Champagne arrived about 2 weeks ago. 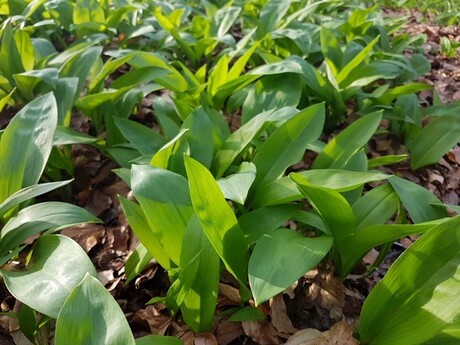 Increased deliveries are expected from this week, says Stefanie Wisniewski, managing director of mushroom cultivation Mandarin GmbH and experienced supplier of wild garlic to German and international wholesalers. "Sales are increasing year by year," she says. "There are, of course, suppliers who tend to already bring their products to the market, but I prefer to wait until I can guarantee a good quality and a steady flow of goods," says Wisniewski. In contrast to the overwhelming majority of today's product range, it is impossible to significantly extend the wild garlic campaign. "As soon as the wild garlic really starts blooming, it loses its aroma, so the season is very short. However, there are no delivery bottlenecks during the season itself, if the weather plays nice, of course," says Wisniewski. Since founding her company in 2004, Ms. Wisniewski has been involved in the seasonal wild garlic trade. At that time, the company was one of the first providers of the product in Germany and Western Europe: "We supply C&C markets and wholesale markets nationwide, but our customers are not only German, but increasingly the neighboring European countries as well. There, even more significant growth can be observed, as is the case in Holland as well." Wild garlic grows exclusively in the calcareous soil and can therefore only be harvested in certain areas. The first deliveries of the season are traditionally from Champagne in northern France. The harvest will soon start in the Eifel, probably in mid-April. "Despite the unique selling point, I have found that regionality plays a minor role with wild garlic - especially on the wholesale markets. The product itself is exclusive, no matter from which region it comes." Attempts were made to cultivate wild garlic, for example in greenhouses, "I'm very skeptical, though. Surely wild garlic can be cultivated, but it yields only a few leaves per plant, which is why the cultivation does not pay at all. That's what makes this plant - growing in the woods - so unique." The sensitivity of wild garlic is not only reflected in its growth, but also in processing, says Wisniewski. "After it has been harvested and cleaned, each individual leaf is cleaned and sorted by hand, even if we pack the product mechanically - for instance when we're opting for Flowpacks. These operations are impossible to accomplish mechanically." From harvesting to packaging, wild garlic is a labor-intensive product, requiring much sensitivity. The wild garlic is finally offered in all kinds of packaging units, varying from 20 gr bowls up to 1 kg of loose products. "We see a great need for 100 gr packaging across the board, growing from year to year, across the product range. Also, our customers appreciate the fastest possible procurement of goods, which is particularly important in such a sensitive product . And we are sold out at the end of each day." Together with mushroom wholesaling Uwe Buschhaus and Wild Mushroom Germany GmbH, Pilzzucht Mandarin GmbH belongs to a larger enterprise group. In addition to wild garlic and wild mushrooms, woodruff - a weed that only grows in April - is marketed. "With my life partner, experienced mushroom trader Uwe Buschhaus, I was able to build up a very strong network and together we have a great sales channel," Ms. Wisniewski concluded.